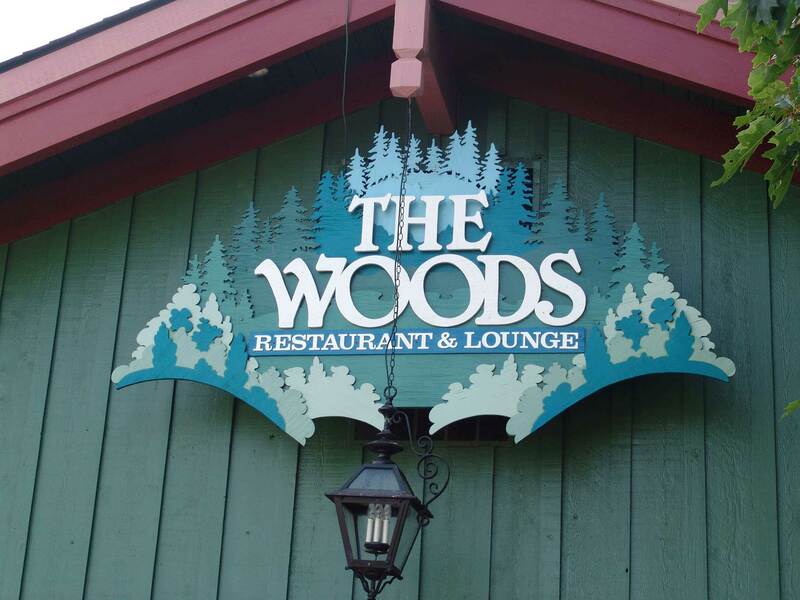 The Woods Restaurant and Lounge is located in Rocky River, Ohio. Visit our full service restaurant and lounge before watching a movie. Our party center is located behind the restaurant and can be booked for your next party. We also offer carryout and catering. From 4-6:30 PM we feature Happy Hours in the lounge. Our restaurant menu features an award winning Shrimp Salvatore and our lounge features 3 large TVs for watching the Tribe, Browns or Cavaliers. The lounge is warm and cozy and has one wall decorated with trophy mounts. If you are sitting on one of our 12 comfortable bar stools, you might notice 3 deer, a moose and a bear looking over your shoulder.